Each year, St James's Hospital treats over 300,000 patients, through our dedicated and professional teams throughout the hospital. We strive to achieve the best outcomes possible for our patients. We need your support to do more. 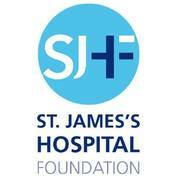 St. James’s Hospital Foundation is a registered charity which raises funds and promotes awareness to support St.James’s Hospital in improving the healthcare and well-being of our patients.